Hi! I'm Oliver James Hall, a 3rd year PhD student at the University of Birmingham, UK. My research focuses on a Bayesian use of asteroseismology in population studies, and how this can improve our understanding of both analysis techniques and underlying physics. 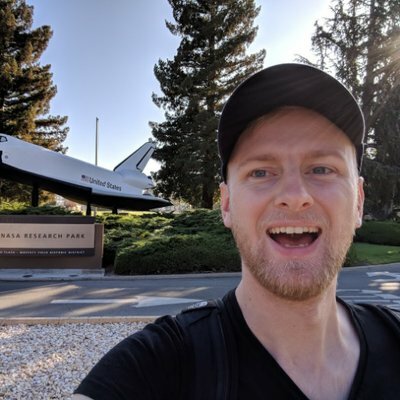 I am currently investigating the relationship between asteroseismic ages, rotation and mass, and help develop tools for the community through my involvement in development of the TASOC pipeline for asteroseismic data for the TESS mission, and the NASA Kepler GO office's `lightkurve` Python package. I was born in Hong Kong, but did most of my growing up in the Netherlands. I obtained my M.Sci. from the University of Birmingham in 2016, under supervision of Prof. Bill Chaplin. I joined the Birmingham based Sun, Stars & Exoplanets (formerly HiROS) group in the same year as a PhD student under supervison of Dr. Guy Davies. While waiting for my code to run I scroll through Twitter, write for Astrobites, and try to engage the public in asteroseismology where I can. In my own time I play piano, go hiking, and travel with my partner. I am currently studying the relationship between asteroseismic ages, masses and rotation in Main Sequence stars. Previously, I looked into how systematics asteroseismic techniques and systematics in data from the Gaia mission affect measurements of the absolute luminosity of Red Clump stars, using a complex hierarchical Bayesian model to probe the true distribution of stars underlying their measurement uncertainties (submitted pending review). A list of all papers I am currently coauthor on can be found on NASA ADS. You can find a copy of any talks I have given on my SpeakerDeck. As part of the TASOC Working Group 0, I actively contribute to the effort to produce a data reduction pipeline for asteroseismic use of data from the TESS mission. I am collaborating with Drs. Rasmus Handberg and Mikkel Lund on background correction of Full Frame Images, and am working with Prof. Derek Buzasi, Lindsey Carboneau, and Filipe Pereira to detrend the systematics in TESS light curves using an ensemble photometry approach. This work is open source, and can be found on the TASOC GitHub. I love writing and sharing accessible code, and hacking other peoples work to learn from theirs! I have written and contributed to some packages that may help others in their work. Below I provide links to a couple of repositories that can be found on my GitHub, as well as `lightkurve`, an open source package I have contributed to. lightkurve A beautiful package for Kepler and TESS time series analysis in Python. omnitool Hackable Python package for basic photometric and asteroseismic analysis. barbershop Make cuts in multiple parameter spaces using a simple GUI in Python. closeplots Alternative pyplot.show() command that includes a button to close all subplots. I've written various guides, examples, or brief investigations as iPython notebook blogs, listed below. Please note that I do not actively update these blogs, so some may be outdated. Speedy Covariances in PyStan A guide on how to implement & speed up the use of predetermined covariance matricies in PyStan, performed on Gaia DR2 distances. Seismic parameters from Autocorrelation Functions A comprehensive tutorial on how to obtain fundamental asteroseismic parameters using Autocorrelation Functions, following Huber et al. 2009. Basic Stan Ingredients An overview of the majority of probability functions available in Stan, for a quicklook at how they can change. Investigating the Gaia distance prior A deep dive into the length scale of the distance prior used by Bailer-Jones et al. 2018 to calculate distance estimates to Gaia targets. DFM Mixture Models with PyStan A recreation of Dan Foreman-Mackeys excellent blog on mixture models, recreated for PyStan.